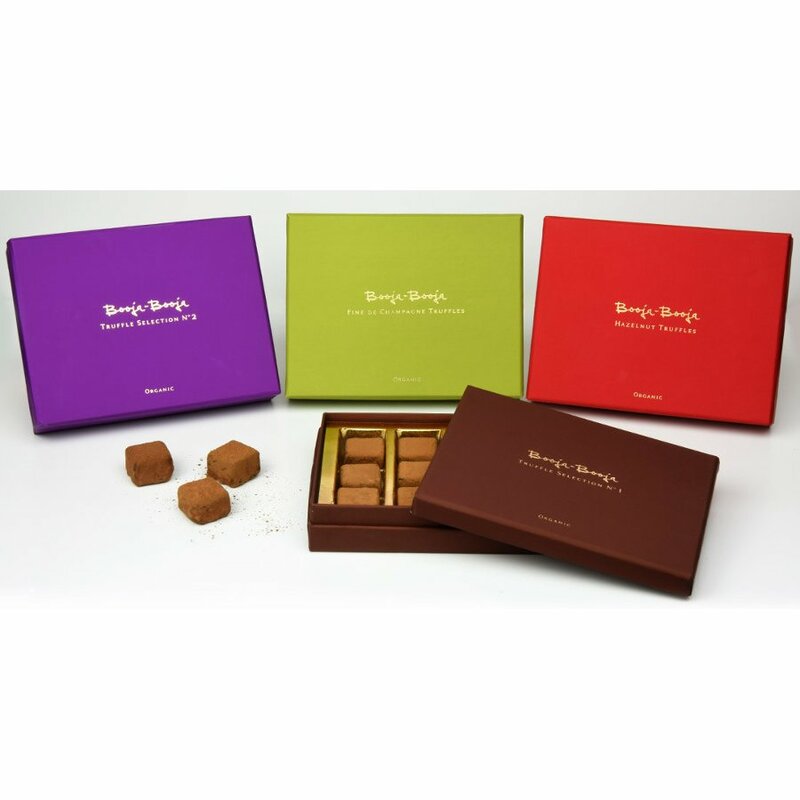 Enjoy a range of vegan chocolate truffles from Booja Booja with this selection of 12 truffles in four different flavours – Rhubarb & Vanilla, Hazelnut, Stem Ginger and Almond & Salted Caramel. Each truffle is lovingly made with an organic chocolate flavoured ganache and other certified organic ingredients and contains no dairy, gluten or GM ingredients. 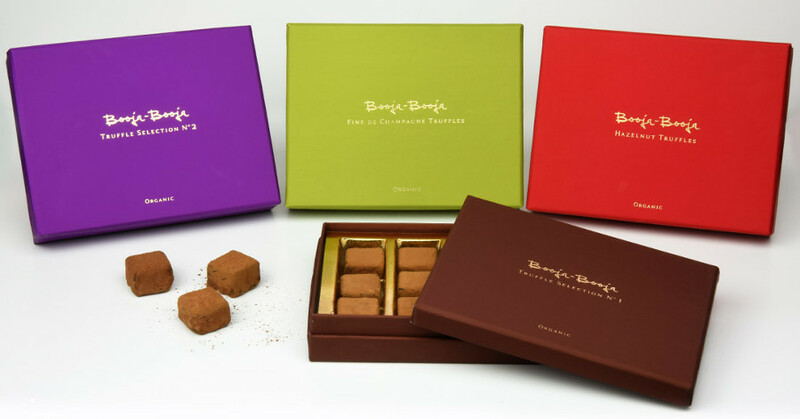 The Booja Booja Truffle Selection No 2 Gift Collection - 138g product ethics are indicated below. To learn more about these product ethics and to see related products, follow the links below. I buy this for my grandchild with multiple food intolerances as it is a chocolate brand she can enjoy without fear of repercussions. This selection comes beautifully packed. I just wish there were an equivalent selection where the nut ones were replaced by raspberry and dark Ecuadorian. 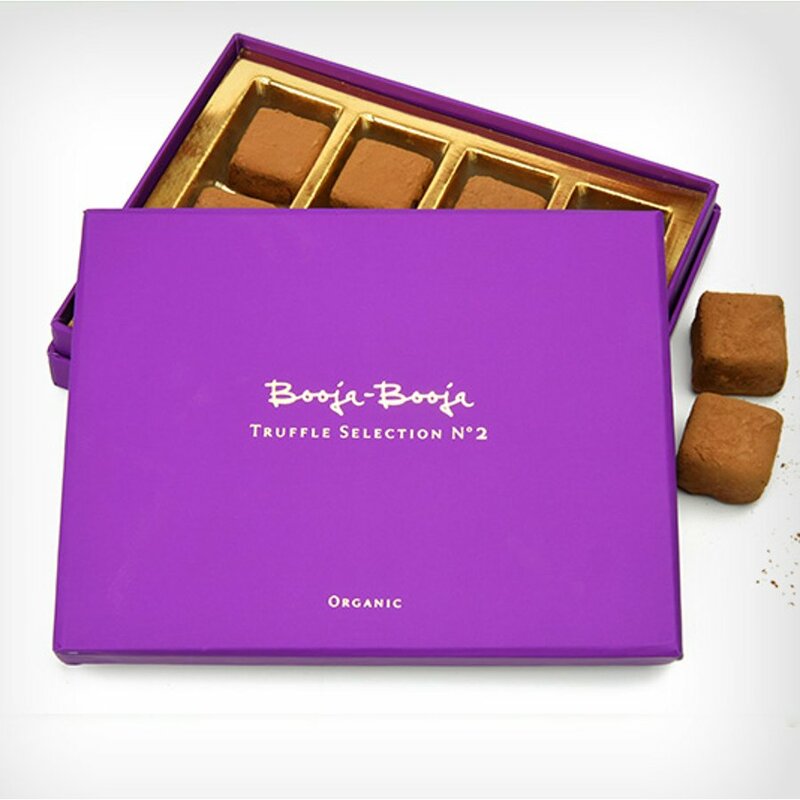 There are currently no questions to display about Booja Booja Truffle Selection No 2 Gift Collection - 138g.